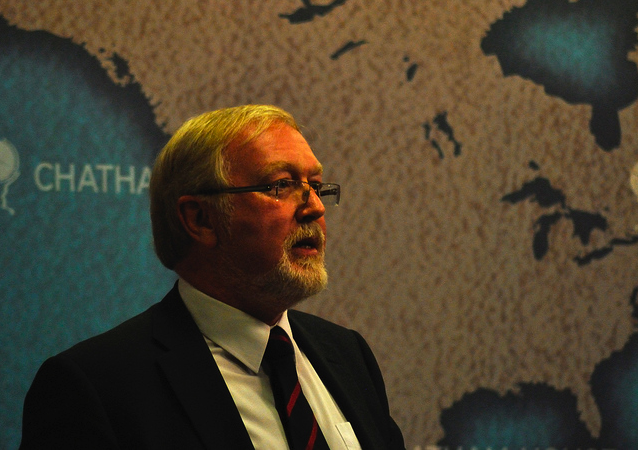 Peter Quayle joins JiC for this fascinating glimpse into the views of newly elected ICC Judge, Howard Morrison. In this extract of Peter’s interview, Morrison discusses his career at the ICTY and ICTR, the Karadzic trial (where Morrison is a presiding judge) and the question of ICC bias towards African states. Enjoy! Judge Howard Morrison QC, a British barrister, was elected a judge of the International Criminal Court during the Tenth Assembly of State Parties, held in New York, December 2011. Judge Morrison has sat as a judge of the International Criminal Tribunal for the Former Yugoslavia since August 2009. He currently sits in the trial court trying Radovan Karadzic. But, as his questionnaire for the Coalition for the International Criminal Court amply demonstrates, this is only the most recent professional experience and latest judicial office that recommended him to the ICC. As an advocate, called to the Bar in 1977, his early regional criminal practice included considerable advocacy before Courts Martial. He became a QC in 2001, reflective of his achievements as an advocate, including prosecuting the most serious cases for the Crown Prosecution Service, including sexual violence crimes. From 1998 until 2004, he was also a defence counsel in numerous trials before the ICTY and the International Criminal Tribunal for Rwanda, including the Celebici prison-camp and Nikolic cases. As a judge, Morrison was Resident Chief Magistrate of Fiji and Senior Magistrate of Tuvala, 1986 to 1988. In the courts of England and Wales, he was appointed a Circuit Judge in 2004. In 2008 he was appointed a Senior Judge of the Sovereign Base Areas of Cyprus. 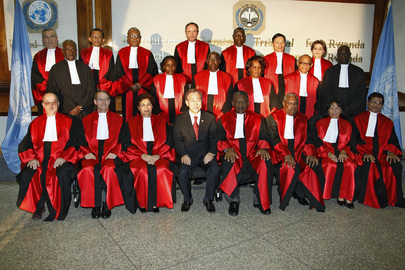 The sixth elections to the ICC, replacing six vacating judges, changed a third of the court’s bench. Each judge is elected for a non-renewable nine year term. Judge Morrison will be sworn in on March 11, 2012 but first complete his cases at the ICTY before assuming his duties at the ICC. Once he does, it is likely that his extraordinary expertise will make him amongst the court’s most authoritative and influential judges. Peter Quayle (PQ): Were you always interested in an international criminal law career? What has influenced you step by step in your career? Judge Morrison (JM): When at the Bar I did as much overseas Courts Martial work as I could muster. The idea of international law always fascinated me and I read as much about the Nuremburg and Tokyo trials as possible. After nine years practice as a junior barrister I was able to secure a post as a Resident and then Chief Magistrate in Fiji combined with the post of Senior Magistrate in Tuvalu, followed by a stint in the Caribbean after military coups in Fiji disrupted the judiciary. PQ: After your overseas judicial appointments, what led to your being retained as defence counsel at the ICTY/ICTR? JM: Following those duties there was a decade of prosecuting and defending on the Midland and Oxford Circuit which was interrupted in 1998 when I answered an ad in Counsel [the monthly journal of the Bar in England and Wales] asking for expressions of interest from those who might like to defend at the ICTY in The Hague. A month or so later, a phone call in hesitant German one evening from a Bosnian Croat who wanted me to help conduct his appeal in the Celebici case [the first command/superior responsibility appeal since Nuremburg] gave me the first of three substantial cases at the ICTY and led in turn to a defence case of a Rwandan Cabinet Minister charged with genocide at the ICTR in Arusha, Tanzania. PQ: How did you find the experience of being an ICTY/ICTR defence counsel? Did being an international defence lawyer resemble your experience in UK courts? JM: Working in the newly dynamic area of international criminal and humanitarian law was a challenge and practising with lawyers and judges from many differing countries and cultures, common law and civil, opened my eyes to many (to me at least) new ways of approaching legal issues. Defending such cases presented some tough lessons, not the least of which was a greater polarity between prosecuting and defending lawyers than one is used to in the UK and, in the early days, some sense of institutional mistrust of defence lawyers. I was interested in the ICC from its inception, attending the preparatory commissions in New York in 2000 to lobby for the defence to be an integral and organic part of the court. I advocated for it extensively in conferences worldwide. 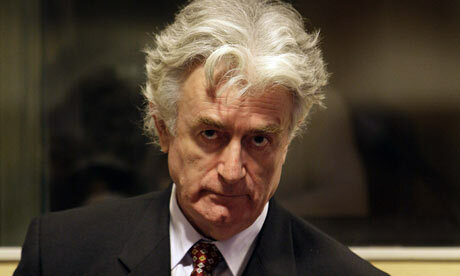 PQ: You sit on the Radovan Karadzic trial at the ICTY, probably the foremost defendant following Slobodan Milosevic. Are you conscious of any lessons of both Milosevic and Karadzic’s trial that are applicable to the ICC? JM: Customary international law has surged in content and scope since the creation of the ICTY in 1993 and the ICTR in 1994. The real way forward for any area of law is by having a body of decided cases and appeals. The ICTY has resolved every one of its 162 indictments and the ICTR the vast majority of its own cases. It will probably be many decades before the ICC comes close to such a completed volume of casework. Although the ICC has its own statute and rules of evidence and procedure, it is my view that it would be both unwise and unnecessary for the best of the decided jurisprudence to be absent from the considerations of the ICC. PQ: You recently spoke at Chatham House of what the ICC was not. It wasn’t a human rights court per se, it wasn’t a “PhD factory”, nor simply a source of employment for international lawyers. Instead it was a senior criminal court. What are the implications of the ICC being a “senior criminal court”? JM: The ICC, although very much concerned with the application of human rights, is neither a human rights institute nor a PhD factory. It is a senior criminal court and to function well and attract more member states it needs to be seen as such by the international community. To that end, it needs staffing at all levels and in all disciplines by people very familiar with the requirements of a senior criminal court and one that applies a very particular admixture of international law and legal disciplines. It is also a court of last resort in the sense that the complementarity provisions of the Rome Statute make it plain that if a state has the proper capacity and intent to fairly try war crimes and other matters within the jurisdiction of the ICC, then that state has primacy. PQ: Are you sensitive to criticisms of “selectivity” of jurisdiction and prosecution? For example, the Africa-weighted ICC caseload? JM: There has been considerable criticism from some quarters that all the cases currently before the ICC emanate from Africa. The fact is that some of those cases have been referred to the ICC by those countries themselves and it has been pointed out that the fact that the ICC has utilised its limited resources in respect of African cases shows how important it is to the ICC that those African people who have suffered are having the allegations tried in the open. It is likely that in the years to come the majority of cases will involve other geographical areas. It is difficult to predict what may happen in our volatile world. This entry was posted in ICTY, International Criminal Court (ICC), International Criminal Tribunal for Rwanda (ICTR), Interview, Justice. Bookmark the permalink.